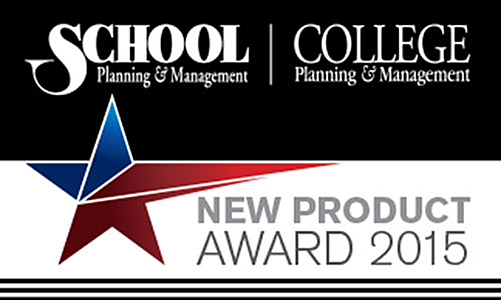 DALLAS, November 18, 2015 – School Planning & Management and College Planning & Management magazines announced the winners of their 2015 New Product Awards today. The publications are leading information resources for those charged with planning, designing, constructing, equipping, operating and maintaining the physical learning environment. The New Product Award program honors the outstanding product development achievements of manufacturers and suppliers whose products or services are considered to be particularly noteworthy in their ability to improve the learning environment. An independent panel of judges from the industry selected 32 winners in the inaugural year of this contest — 21 Platinum and 11 Gold. Winners will receive awards and will be featured on the industry website, spaces4learning.com. Platinum and Gold winners and Honorable Mention entries are highlighted in the November 2015 issues of School Planning & Management and College Planning and Management magazines. Information about the 2016 School Planning & Management/College Planning & Management New Product Awards will be available at spaces4learning.com in the spring of 2016.